I bought a new old stock Jardine Rumblers full system- headers, mufflers, clamps and collars for my VX last year. They installed easy, but I ran it in the garage for a couple of minutes and decided they're a bit loud for my taste. Never rode with them or even got them hot. The chrome is in great shape except for a small blemish on one of headers which isn't visible when mounted (see photo). These are in like new shape, no scratches or rust, except the small surface blemish described above. Message me for further details. Asking $400. A bargain considering just a slip on in good shape is going for 250 on ebay. feel free to sent the calendar to your friends. do I have your permission to send the file to my friends who also ride VX's but are not on here? 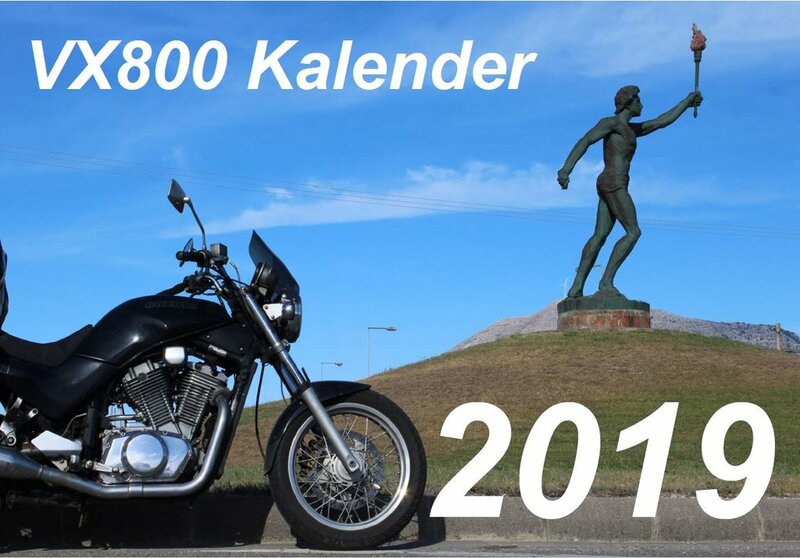 As the download link below, you can get the vx800-calendar for the year 2019 in English language.